«A highly respected IP practice, PATENTUS comfortably earns its place in both prosecution and litigation rankings through its resounding performances on behalf of a high-flying national client base. An impressive contentious caseload keeps it firmly in the top three most-active litigators, while the prosecution arm continues to expand; the arrival of fresh talent has broadened access to its superb offering for operations beyond those in its traditional chemical and pharmaceutical strongholds. 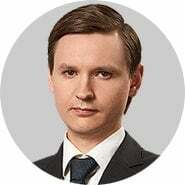 Taking charge of non-contentious endeavours, Alexey Mikhailov is “one of the best patent attorneys for life sciences work” and supervises the group’s wider technical forays. When disputes arise, Mikhailov teams up with well-seasoned litigator Dmitry Markanov to safely navigate opposition and infringement proceedings».